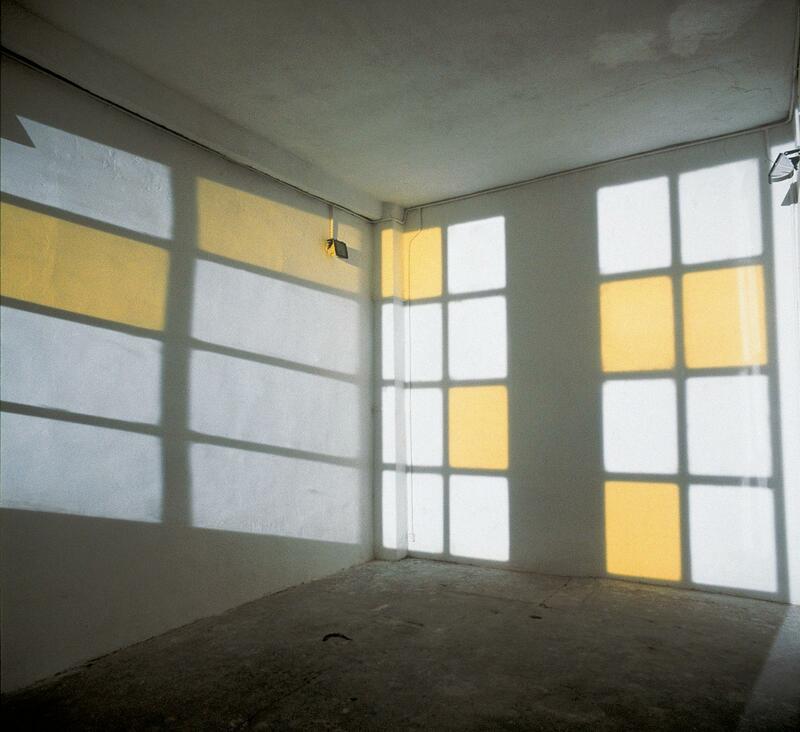 The existing window bars are used as a motif for the projection. A lamp hangs outside of the room, so that the lattice it creates corresponds to the shape of the room. 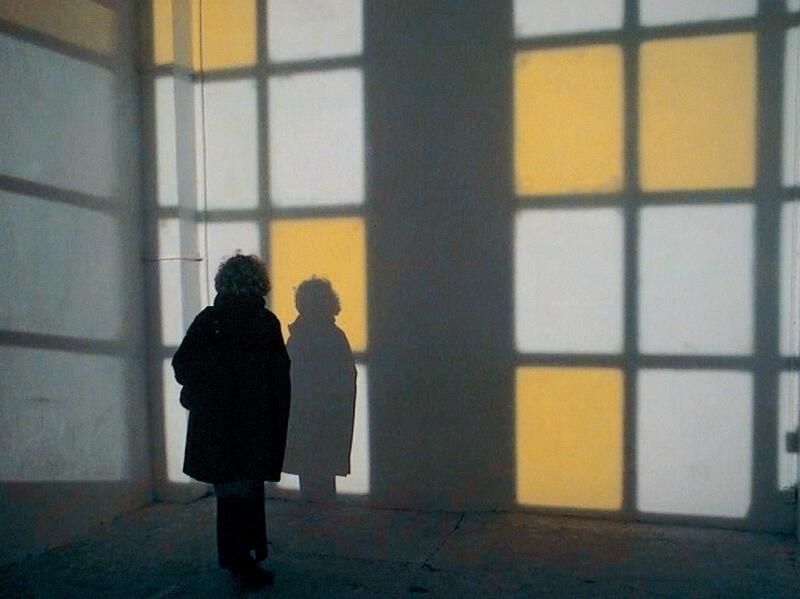 Randomly selected surfaces of the window are covered with yellow foil.